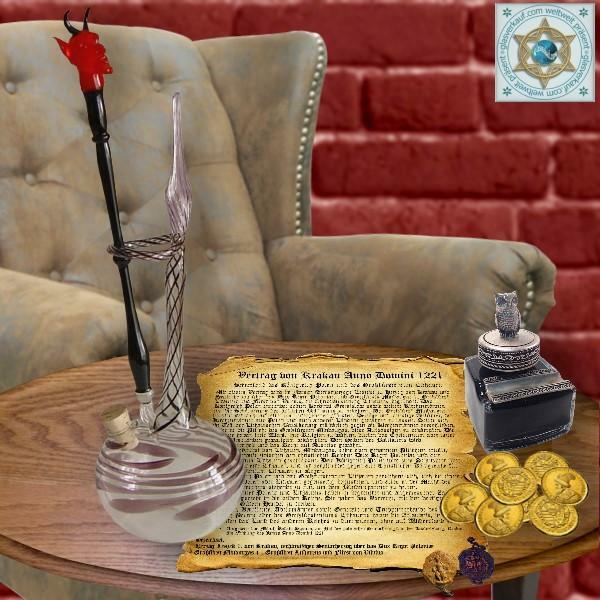 Main page » gift ideas » glass pens » Glass pen with devil's head and glass pen holder Set 2-pc. Glass pen with devil's head and glass pen holder Set 2-pc. 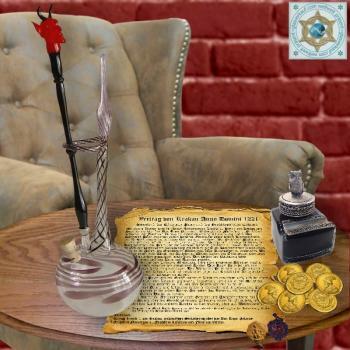 Our hand-made glass products glass pen with devil's head and glass pen holder Set 2-pc. made of Lauschaer glass are very harmoniously and balanced in shape and color design. Wherever they are used are very decorative highlights to the eye of the beholder. They are very popular and always a good gift idea. They are very good in the handling and perfect for calligraphy, drawing, painting with ink, ink and all liquid colors on various materials. Colors: glass pen tip - solid glass crystal clear / handle - solid colored glass - with devil's head / glass pen holder - crystal clear with violet stripes.